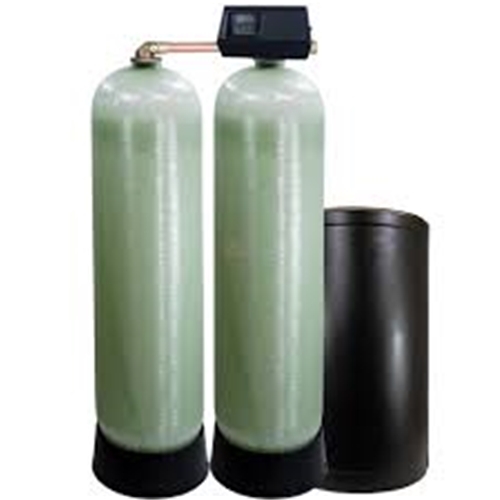 Fleck 9500SXT commercial 1.5" brass digital metered alternating duplex water softening system. Delivers 24 hour per day softened water. Includes two 21" x 62" natural fiberglass tanks housing 224,000 grains (7 cu. ft.) each. Ships via common carrier and including a resin funnel. Controls and both tanks have a 5-year warranty. Rated flow rate is 29 gpm at 15 psi drop when the system is in a regeneration cycle.